Defective medical devices often cause serious and permanent injuries. Individuals injured by these devises are often entitled to compensation from the companies that have manufactured and distributed defective and dangerous medical devices. Biomedical companies are pressed to create technologically advanced medical devices to aid in the relief of symptoms and conditions of a wide range of patients. However, the devices are often manufactured with a defect that calls for their recall. For many patients, the devices have already been implemented or implanted and must be removed. This can be a painful process, in addition to the permanent damage that the medical device may have caused in the first place. Our firm represents clients in a range of defective medical product cases, including patients who have been affected by a defective heart pacemaker, defibrillator, defective hip replacement, or other dangerous medical products. If you believe your symptoms are the result of a defective medical device, seek attention from your doctor immediately. 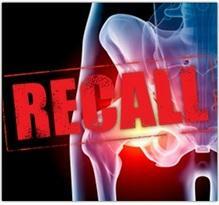 If you have been injured by a defective medical device, I can help you with your claim. Since the manufacturers and insurance companies have vast experience in evaluating these claims and will seek to pay the lowest compensation possible, it is important to have an attorney on your side with considerable experience dealing with these manufacturers and insurance companies. It is always best to have an attorney who will not settle your case for anything less than its full value. If the manufacturers and insurance companies are not being reasonable in their valuation of your case, you need an attorney who will fight for you, who will file a lawsuit, take your case to trial and prove why you deserve to be compensated. Our law firm will do that for you.